Egypt is a timeless journey. Visiting this country with its glorious past, casting shadow over the present, makes you feel like you travel to a fairytale world where everything is possible. Now you will have the chance to enjoy spending an unforgettable time in this country of contrast, where the past meets the modern times. Imagine having the possibility to stay at a luxurious hotel and play poker in a huge modern casino, while traveling in time. 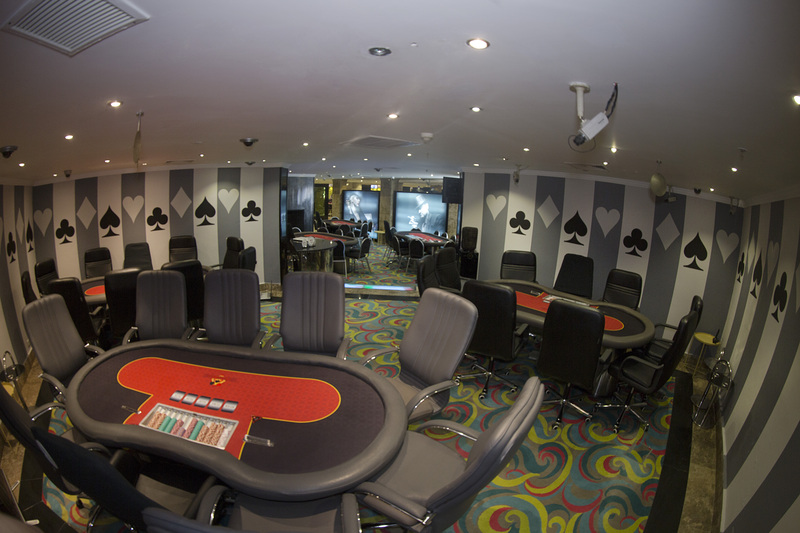 This is what you will experience by taking part in our poker journey in Taba. Taba, also known as the Gate of Sinai, is situated in Sinai Peninsula, region wedged between Asia and Africa. Its beautiful nature, amazing diving areas, wonderful beaches and historical monuments of Israel and Jordan are what makes it a fantastic proposition for all of you, who want to visit a whole new world, as well as everyone who loves the sea and sun. Taba is a perfect land for discovering the amazing beauty of the Red Sea, as it is housing the most popular beaches in the country. The crystal clean waters and the diverse sea life turned it into a popular diving center, as well as a great place for wakeboarding. 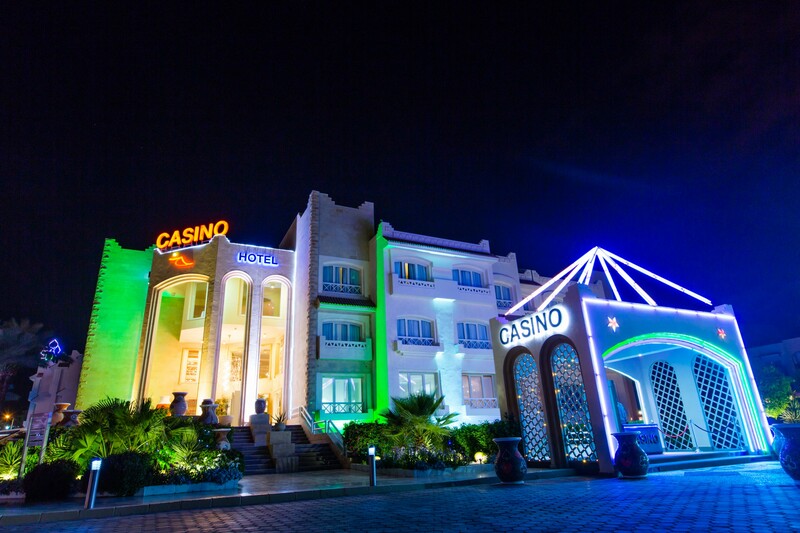 Taba Sands Hotel and Casino offers you the most luxurious accommodation in Taba, situated very close to the Red Sea Riviera. The hotel is a real oasis of comfort, sophistication and style. 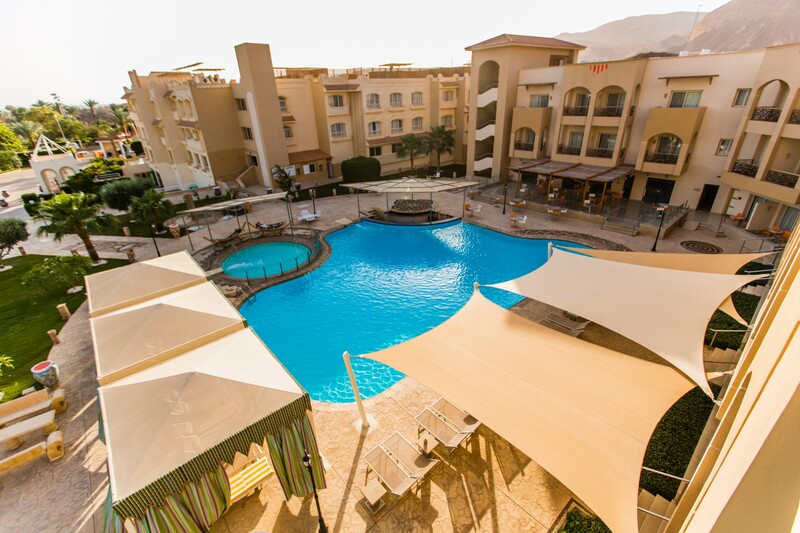 Its spacious rooms offer you a terrific view of the Sinai Mountains and also guarantee a much-deserved relaxation. Every room comes with a terrace or balcony. 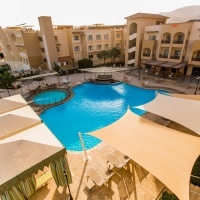 There is an outdoor pool, as well as five restaurants alongside the hotel. 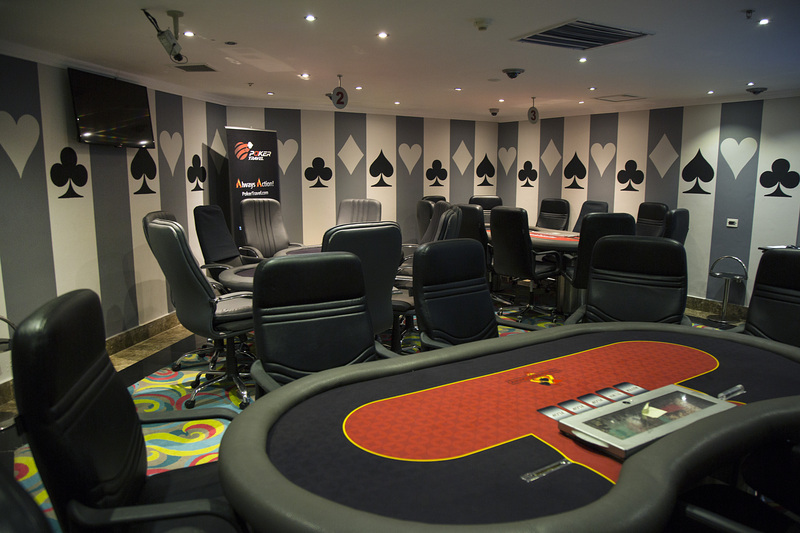 The hosting poker room is located in Taba Sands Casino. 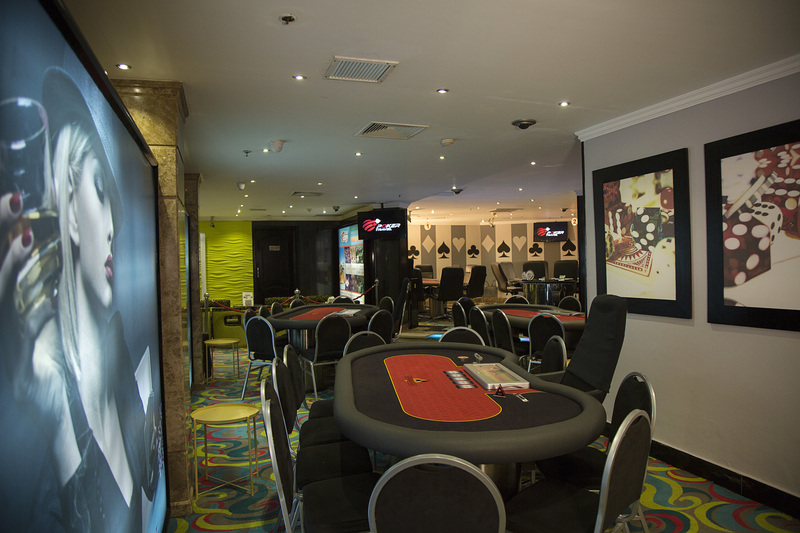 The casino and the poker room are open 24 hours / 7 days a week. The poker games usually start at the evening. The rake is 5% with $35 cap. Salah El Din Castle has a significant strategic and historical importance, as it is located near the borders of four countries: Egypt, Saudi Arabia, Jordan, and Israel. The citadel was well defended against attacks with a high outer wall that surrounds it with a number of monitoring towers and the inner walls of the citadel itself. There is a crucible to manufacture weapons, a conference hall for the rulers to plan how to defend Egypt against any attacks, housing for soldiers, an oven to bake bread, storage rooms, a water reservoir and a mosque that was built by Amir Hossam El Dine Bagel. The citadel was built with granite rocks that were taken from the Pharos Island. Saladin was successful in choosing the location of his citadel on top of two high hills with a narrow valley between them which made it very difficult to attack. Enjoy a romantic sunset cruise around the historic Salah El Din Castle, which is on a 10 minutes drive from the hotel. Soft beverages are provided. Depart from the hotel at 15:00 and return after the sun has set. Reservation is subject to availability. The Monastery is one of the oldest monasteries in the world! Leave the hotel at 06:00 to arrive at the monastery 3 hours later, just in time for the opening between 09:00 to 12:00. A breakfast box is included for your departure and soft drinks are provided during the trip. Then you drive for one and a half hours to Dahab where there is a choice of restaurants for lunch at your own cost & various shops for you to browse through. Please ask reception for costing. Trip is subject to availability. Passports are required. St Catherine monastery is one of the oldest working Christian Monasteries in the world! 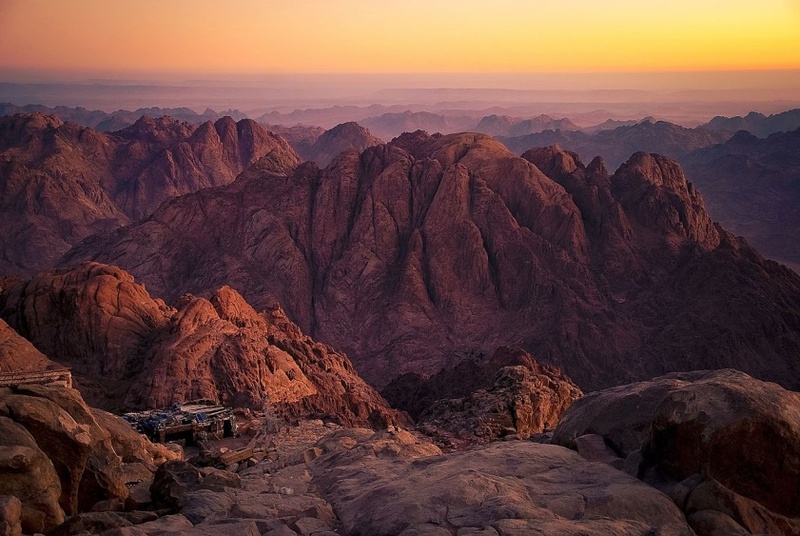 This trip includes a climb up Mount Sinai, also known as Mount Horeb or Gabal Musa, in the Sinai Peninsula of Egypt which is considered a holy site by the Abrahamic religions. You will leave the hotel at 22:00 to arrive at Mount Sinai 3 hours later. Starting off with a climb up the mountain, which takes around 3 hours, rest and take a break at the Bedouin cafes on the way up, after completing the climb and returning to the bottom of the Mount you can visit St. Catherine Monastery between 09:00 to 12:00. A food box and soft drinks are provided during the trip. 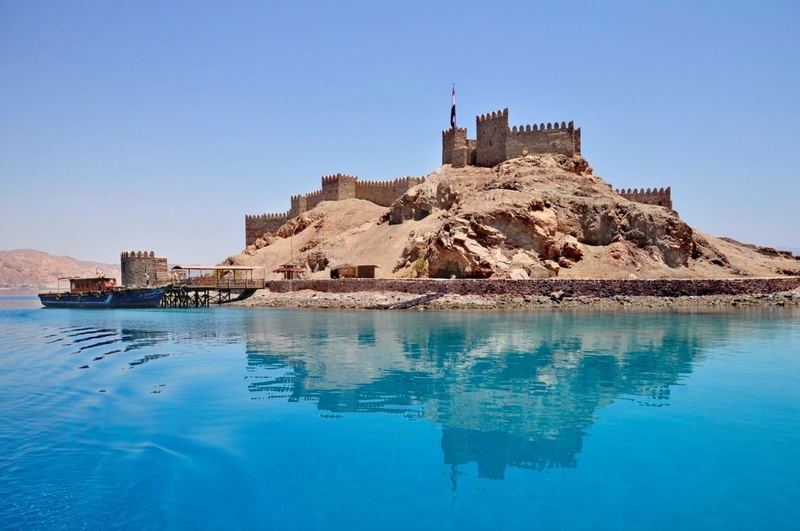 Enjoy a trip to Salah El Din Castle, which is at a short distance from the hotel, for a snorkeling trip to three Islands; Salah El Din, Ras Amira & Fiord Bay at a cost of $40 per person. For those of you, who are more adventurous, for an additional $40 you can add 25 minutes of scuba diving up to 8 meters depth with a certified instructor. A hot lunch of rice, pasta, chicken, kofta & salads, soft beverages is served during the trip. Depart from the hotel at 09:00 and return at 15:00. The minimum number of people is 6 and is subject to availability. Just remember if you want to scuba dive you must be in good health, have no heart conditions and no pregnant ladies, please! 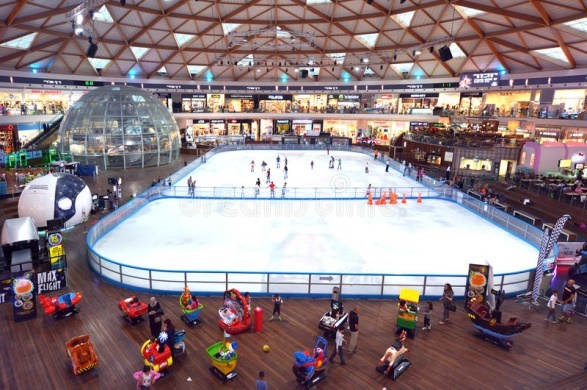 Ice Park & Mall Eilat is the first shopping centre of its kind in the world: An enormous dome structure containing dozens of shops and brands names of the best designers from Israel and abroad. The Ice Park is divided into a number of areas: The top floor of the Ice Park Eilat is dedicated to brand stores from different fields: fashion, cosmetics, jewellery and more, to ensure an enjoyable shopping experience and special VAT-free prices. In addition, the upper floor also operates the Artist Market: handcrafted jewellery, homemade food, house wares, clothing and more. Kids will enjoy the huge, two stories high arcade which offers a variety of pinball games, video games, bumper cars, playground for toddlers and many other attractions children will love. Mall Hayam in Eilat is the most profitable mall in the country. 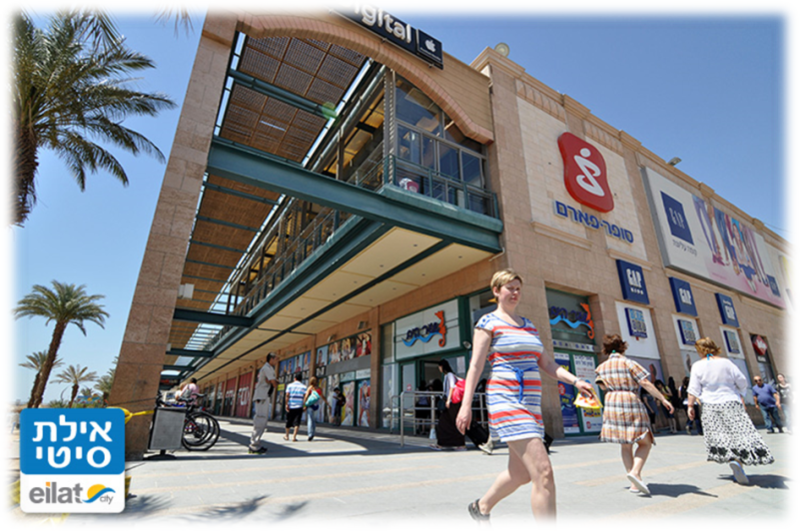 The mall offers a diverse and inexpensive shopping experience due to Eilat's status as a Free Trade Area. The mall is accessible for the disabled, has an underground parking lot and about 90 shops selling a variety of clothes, electrical, accessories, jewellery, sport, footwear, food and more. Also, on each floor of the mall you will find an ATM. Toilets and changing posts are located on the middle floor. The mall has four possible entries: the first is through the promenade, the second is through Cafe Joe, the third is the main gate in front of the external car park and access and the fourth is at the lower level for those parking in the underground parking lot. Experience sea life underwater without getting wet at the Underwater Observatory Marine Park in Eilat. 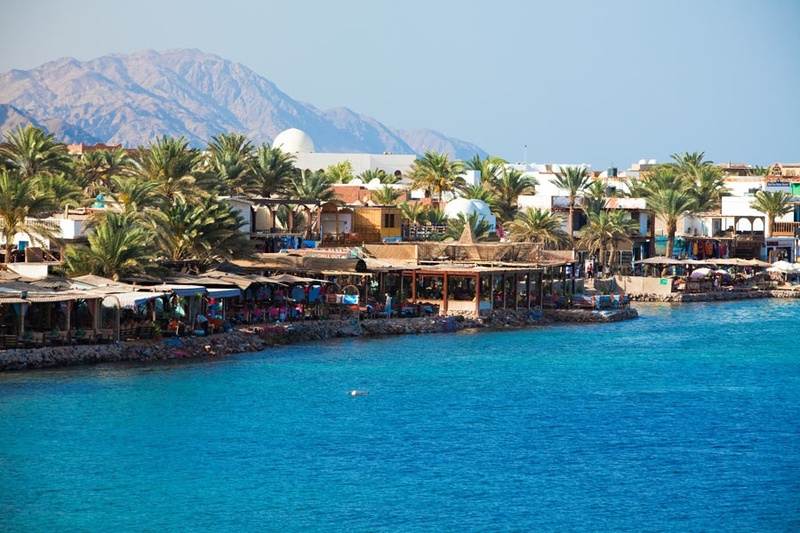 With the vast coral reef that runs along the Red Sea in Eilat, it is no wonder this is such a popular site. Hundreds of thousands of people visit the park every year, excited to observe and learn about the marine life just below the surface. There are a variety of different displays within the Underwater Observatory Marine Park to explore during your visit. Watch turtles and stingrays glide by in their pools or stop by the Rare Fish Aquarium to see an interesting collection of fish and corals. There is also a photography station there called Photo Aquarium. For an additional fee, visitors can ride Coral 2000, a glass-bottomed boat that sails out of the park and back over the coral reef. The newest addition to the Underwater Observatory Marine Park is Shark’s World. Covering an area of 1000m2, it is the largest shark pool in the Middle East. There are three parts to this complex. 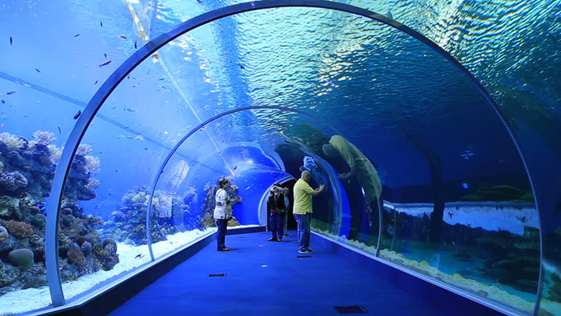 Within the first window, visitors will see a pool that has 18 sharks, walruses, sea bats and thousands of fish. The highlight of the complex is the transparent, 15-meter long tunnel. Get a real, up-close look as the sharks and other marine life swim above and by. It is difficult to get any closer to the fish without getting wet. 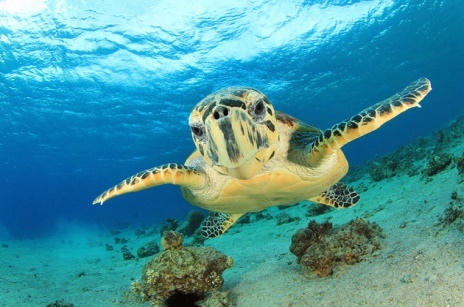 The last part includes a visitor’s centre where visitors can learn more about the marine life that lives in the Red Sea. 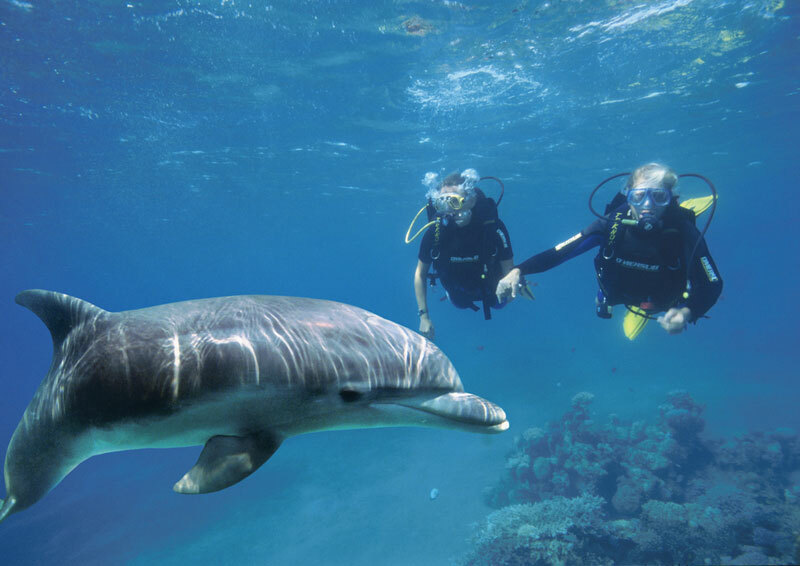 The Dolphin Reef in Eilat, on the shores of the Red Sea offers a magical and unique opportunity to observe and swim alongside some of nature’s most magnificent sea creatures. The Reef is home to a colourful array of tropical fish, beautiful coral and, most significantly, a school of bottle-nosed dolphins including babies born on the site. It was established over twenty years ago with the vision of bringing humans closer to animals in a sensitive and respectful way. The dolphins are not kept captive. They live in their natural habitat and have free access to the open sea, should they choose to leave. Human intervention in their lifestyle is minimised solely to the prevention of endangerment to their existence. 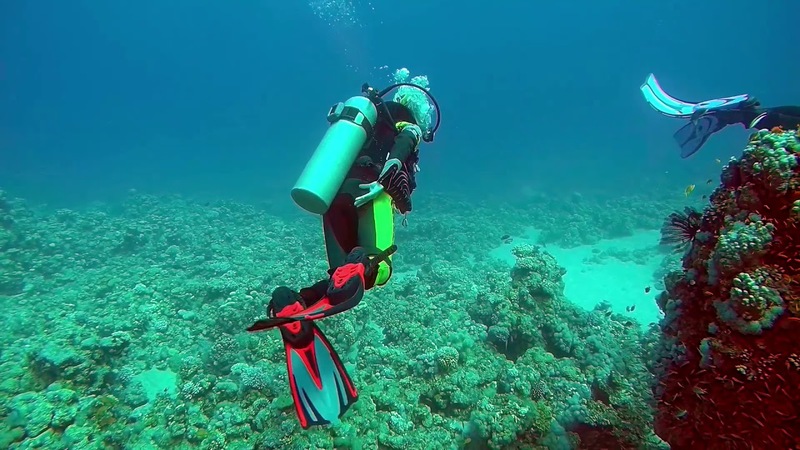 Scuba diving is available to any confident swimmer aged between 8 – 88 years old. Previous experience is not required. A session lasts for one hour: Half of this time is devoted to fitting the scuba diving gear, signing the medical statement, and listening to a briefing; the other half is spent in the water with a personal instructor whereby divers will descend to a maximum depth of 6 meters. Snorkelling is available to any confident swimmer aged between 10 – 88 years old. A session lasts for one hour: Half of the time is devoted to fitting the equipment, signing the medical statement and listening to a briefing; the other half is spent in the water in groups of up to three persons and a guide swimming out not far from the shore but to deep waters of a depth of 14 meters. Also on site at the Dolphin Reef are the relaxation water pools, a restaurant and beach bar, an art & crafts Creativity Corner and an auditorium showing films about the dolphins. 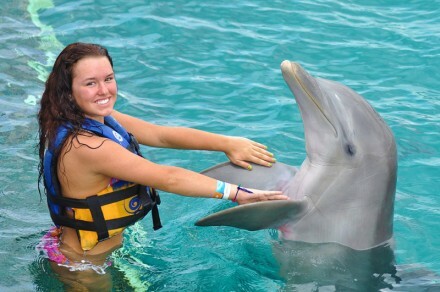 Eilat Dolphin Reef is located about 5 KM from Taba Sands Hotel & Casino. Opening Hours: Sunday – Thursday: 09:00 – 17:00; Friday – Saturday & Holidays: 09:00-16:30.